If you enjoy a good comedy show, you’re in luck as the head of UTA comedy Nick Nucifero told Variety, “There are more comedians right now playing 1,000-plus seat theatres than ever.” You’ll find comedy clubs throughout the U.S., from small cities to major metropolises, but if you’re looking for the best of the best, we’ve ranked the top places for comedy in America. The Mile High City may best be known for its fantastic craft beer scene and wealth of outdoor adventure nearby, but it’s also one of the top spots in the country for catching a live comedy show. The not-to-be-missed venue here is Comedy Works which regularly hosts the major headliners like Dave Chappelle and Amy Schumer, serving up laughs in Denver for more than three decades now. You may also want to check out its thriving indie comedy scene in places like The Bug Theatre with its classic cinema feel and outstanding improve shows, or The Pump and Dump. One of the best ways to experience it all is to plan a trip around one of the city’s two festivals, the High Plains Comedy Festival or the Crom Comedy Festival. Beantown has given birth to comedy giants like Jay Leno and Conan O’Brien, and countless others have roots here too, like Amy Poehler, Mindy Kaling and Louis CK. The comedy revolution began here in the 1980s, and today you’ll find laughs everywhere from the Comedy Studio and the Improv Asylum to Nicky’s Comedy Shop, Improve Boston and Laugh Boston. Visit in November and you can look forward to attending the Boston Comedy Festival. Perhaps it’s those frigidly cold winters that bring so many out to enjoy a laugh in the Windy City. Whatever it is, you’re guaranteed plenty of chuckles here. Chicago has a well-deserved reputation as a comedy town, as the place where sketch comedy gained popularity and improv comedy was birthed. Experience it at the Second City, the Playground or the Annoyance. You can also expect a fabulous stand-up scene at clubs like the Laugh Factory and Jokes and Notes. Popular indie venues include Stand Up Stand Up, Comedians You Should Know and This Week’s Show. In the Big Apple, you can enjoy comedy on any given day of the week. It’s considered the best city for live stand-up, and a place where you can not only see emerging stars but some of the biggest names on tour. 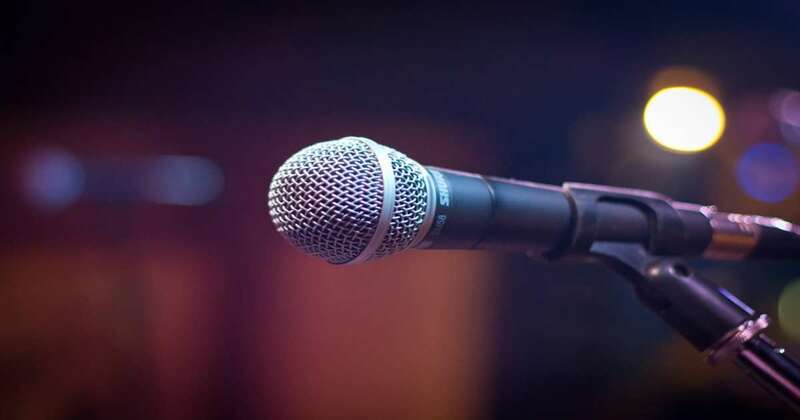 Great venues are countless here, from the Gotham Comedy Club to Uptown Showdown, Comedy at the Knitting Factory and Comedy Cellar. As the entertainment capital, nearly all comedians wind up in L.A. or even San Diego eventually. Like NYC, there are nearly endless comedy venues in LA, with top spots including The Comedy Store, The Laugh Factory and the NerdMelt Showroom. Most of the major headliners include this city on their tour schedule, and it’s also one of the best for catching soon-to-be-famous comedians on their rise to stardom.